Music, at its core, will forever be about the interplay between our emotions – the internal, unseen individual experience – and how we understand, reflect, and act on those emotions. The exact connection between being and comprehension can fluctuate wildly, but the root principle remains the same – and when a piece of music manages to resonate with both the unconsciousness and the consciousness, it cuts deep. 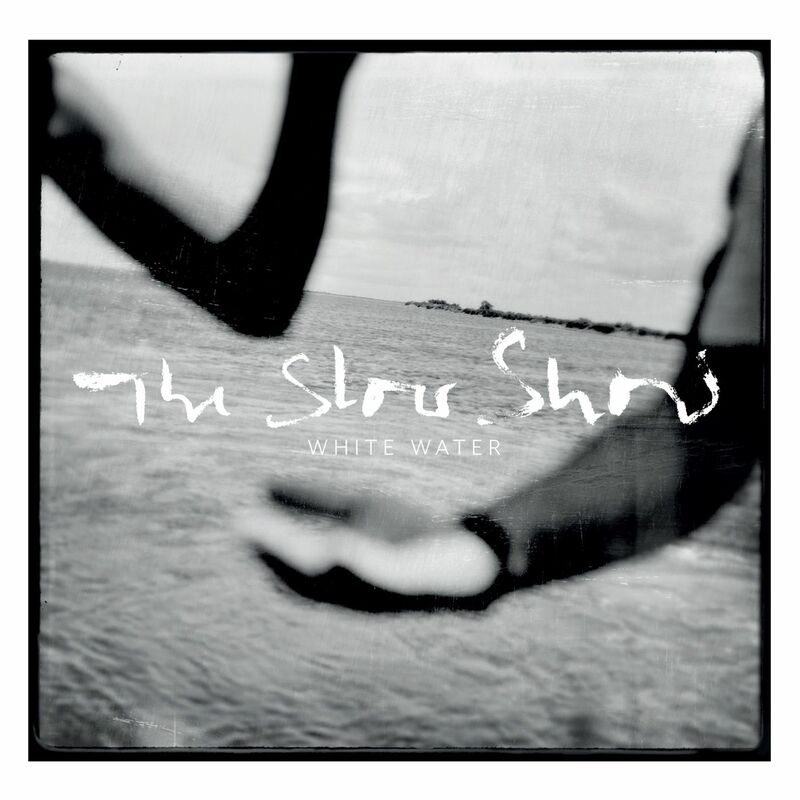 Such was my own experience with White Water, the debut album from Manchester’s The Slow Show. Released in March 2015 via Haldern Pop Recordings, White Water succeeded in getting not only under my skin, but also into my spirit and soul in a way that was wholly unexpected, deeply moving, and profoundly cathartic. It has now been eight months since White Water‘s release, and for those past eight months, I have racked my brain to come up with a sound explanation for my dramatic reaction. This was not the first time I had been so affected by music, but it was the first time I had ever been so moved that I could not write about it. How might one capture in words the concepts that were so powerful to the artist that they could only be expressed through harmony and melody, subtle musical inflections, dynamic contrasts, and whispered syllables? Rob Goodwin’s deep voice echoes throughout the ethereal, colorfully layered compositions of The Slow Show’s debut. Warm, brooding textures arise in the form of orchestral arrangements and choral flurries. Minimalism meets opulence and the two melt together in an organic fusion. Darkness and light gracefully collide like long-lost lovers. Were these truly hyperbolic statements, I might have found the strength and willpower to analyze White Water upon its release. Its volatility reflects the rawest aspects of the human experience: Belonging; Suffering; Belief; Celebration; Loneliness; Compassion; Regret; Death; Birth. Writers have extracted volumes from each of these subjects, for these are universal elements of life. On White Water, The Slow Show breach those topics too often considered “taboo” in casual conversation, deconstructing them and approaching them with the kind of respect one can only gain through personal experience. Delicate music and lyrics paint a portrait of humanity’s tortured, beautiful mortal soul. No, what have we here? The cigarette smoke and hollow tears. You sat me down to talk me through those fears. You’re too young to leave me, brother. Those days we had, will never pass me by. Before God let you down, boy, and took your life away. Too young to leave me, brother. Those days we had, will never pass my by. Too young to leave now! Too young to stand aside! oh brother, just another story told. There is only one certainty in life. In striking a balance between the romanticization of life and the unedited presentation of reality, The Slow Show deliver a timeless record. In a sense, they are like a male Daughter or a reimagined Parachutes-era Coldplay; their sound is fresh, ethereal and inviting, and they spare no expense when diving into harsh realities. My connection to The Slow Show’s breathtaking honesty kept me from writing about White Water for the better part of the past year, but now I feel ready. There is no better time than during autumn’s slow descent into winter to present this profoundly heartfelt, emotionally vibrant music. The Slow Show remain very much in their early stages as an artist, having delivered their first full record this year, but their awareness and manipulation of emotion in their music reflects a maturity that goes well beyond any individual’s years. That they might still be considered an “indie” band is a testament to how important a responsibility it is for everyone to share this music with the world. Atwood Magazine: I understand this record was a very long time in the making. How would you say you grew, as a band and artist over the course of recording? Rob Goodwin: The recording took almost 2 years, in that time relationships broke up, people got married, had children. We’ve had some brilliant times together on tour and it’s been a really important time for us all personally, so I think this has all really influenced the record. What was the hardest song for you to write, and why? Rob: None of the songs were hard to write. They’re all very honest and direct, so no time was spent hiding meaning or trying to make them less personal. I think because of this, they’re harder to perform. To do the songs justice, I think you have to find the place you were when you wrote the song. That’s a little bit tiring when you’re playing them live so often, but I think it makes the performance honest: It’s necessary. Tell me about 'Dresden' - the decision for that chanting introduction, the minimalist approach, everything. Rob: “Dresden” was an important song for the record. It was the first song we wrote together as a band, and I think you can really hear everyone’s influence. It was lyrically a very personal song that we all seemed to understand without discussing it, and I think the instrumentation and production complements the subject perfectly. I think this song also sets a tone for the record. The instrumentation, the drama, the emotion all run throughout the album. As a standalone track. Dresden’s a fair reflection of how the album sounds. What was/is the primary driving force behind The Slow Show? Has that changed over time? Rob: Initially it was quite a selfish thing: Just to make the music we wanted to make. With no compromise or constraints. I think now, people have been so kind and supportive, we feel like the live show has become a huge thing for us, too. It’s something we try and make as special as we possibly can… That was never a goal, but it certainly is now. Getting a little bit more personal now, what, for you, is the best thing about being a recording artist - and what has been your most impactful experience, to date? Rob: Simply just being able to express yourself. Writing and performing is such a cathartic experience. It’s a pressure valve. It’s a way of escaping the real world for an hour every evening with your best mates! Rob: I think the way audiences react to “Bloodline” has really affected us all. It’s incredibly humbling and it’s impossible not to be moved by the atmosphere during this song live. I think this song has brought the band out of its shell a little bit. Have you ever had to step away from something for a long time, just to get out of yourself so you could reapproach it again with fresh ears and a fresh outlook? Rob: Always! That’s how we’ve always worked. I think time and distance from something gives you an important perspective. It’s really important to us that songs are given time to develop. Sometimes that means stripping things back to the bear bones, sometimes adding an orchestra! But it’s important to have the time to decide which way you go with things. When it comes to the music you make, do you have a preference - do you make the music for the record and then recreate the record live, or is the record more of a reflection of the live show? Or are they separate? Rob: Some songs work better live than others, but the aim when we’re writing is simply to make the best music possible. To create something we’re proud of… We didn’t write the record with a live show in mind; I’m not sure I’d like to do that. Writing and performing is such a cathartic experience. It’s a pressure valve. What has been your experience as a Manchester band playing characteristically un-Manchester music? Rob: I don’t think many people would think White Water was a typical “Manchester” sounding record, but then I don’t think this really exists. The diversity in Manchester – both musically, and in the people that live here – is what makes it such a beautiful and exciting place to live and make music. We’re very proud of Manchester’s musical heritage, but not overly influenced by it musically. The space between a band like Cherry Ghost and Joy Division is so vast, I think everyone has somewhere to sit musically. There’s no hostility at all. Manchester has a great sense of community. Well you've got no hostility over here, either! Speaking of which, when's the US tour? Rob: We’d love to play in the US – we’ve been influenced by so many American musicians and it would be a wonderful place to tour and experience. Rob: To be genuine and uncompromising in the music we make. To write music that affects people; that moves them in someway. The dream is doing something you love and are passionate about everyday… It’s a privilege we’ll never tire of, or take for granted. 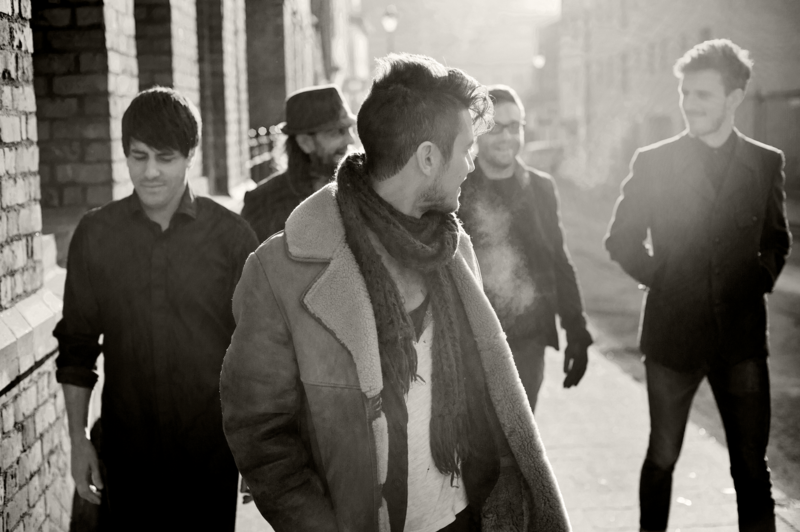 Rob: Our friends are in a band from Manchester called GoGo Penguin, they’re fantastic and doing very well. I’m listening to their records a lot at the moment. It’s just nice seeing friends and other bands from Manchester doing well. It’s even better when you’re a fan of the music they’re making! Thank you so much Rob! Hopefully we can do this again soon, in person! Best wishes and congrats on the release. Rob: Thanks for the support and listening to our music!